Knowing the Good Bugs from the Bad Bugs makes a huge difference when growing food. 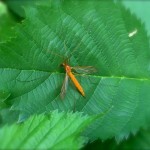 This is the Crane Fly. It is quite large (larger than the diameter of a quarter). 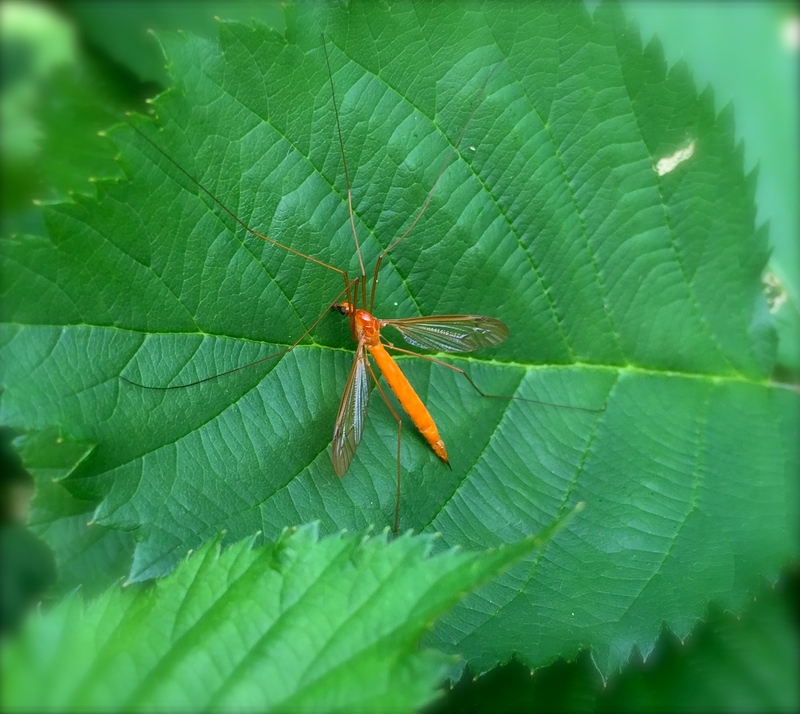 I found this one on a blackberry leaf. This is a bad bug. Although not in my area, they can be invasive. They tend to feed on roots, root hairs and the crown of the plant stunting it and minimizing production. There is absolutely no need to spray pesticides for these. Simply (if yo have the guts) hand pick them! Or, use duct tape! Not to worry, they DO NOT bite.